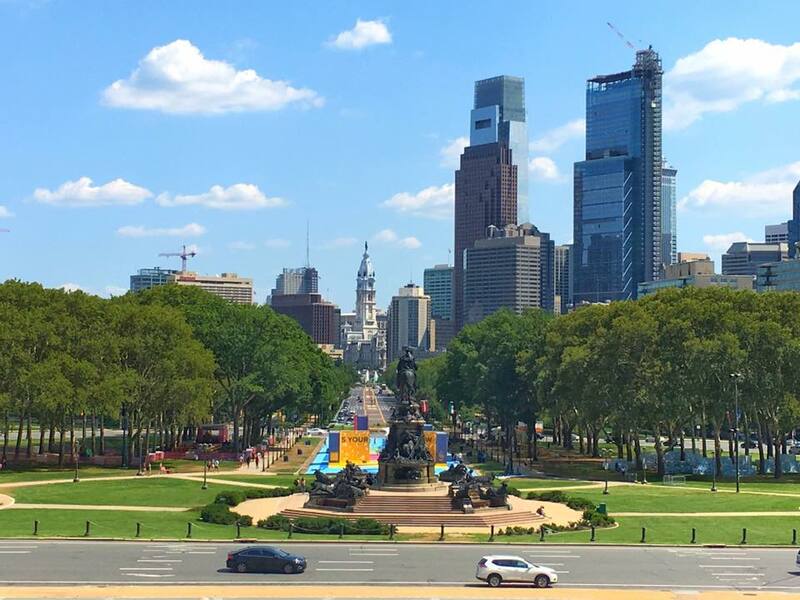 Philadelphia is set to celebrate the 100th birthday of its grand cultural boulevard, the Benjamin Franklin Parkway, with Parkway Soirée, a block-party birthday festival from 5:00-10:00 p.m., on Friday, October 26, 2018. Presented by the Parkway Council, in partnership with PECO and PNC Bank, and featuring Night Market Philadelphia, the Parkway 100 finale promotes 100 family-friendly activities and experiences in the Parkway Museums District. The centerpiece block party begins with the cutting of a giant birthday cake for the Parkway at 5:00 p.m. in Franklin Hall at The Franklin Institute, and continues with live music, and square dancing around the picturesque Swann Memorial Fountain in Logan Square. Guests can grab dinner from some of Night Market Philadelphia’s favorite sweet and savory food trucks, enjoy strolling entertainers, take in a Parkway public art or photo tour, or join a kids’ music jam session.